A Caring Place serves Pasadena, Los Angeles County, and Orange County, California. We offer personalized caring assistance and a full scope of caregiving needs. Don't leave the care of your loved ones to chance. We provide highly professional caregiving services. Whether you're seeking long-term care, overnights, or just a few hours a day, we're happy to be the professionals you'll count on. Enjoy the convenience of caregivers who travel to your home or our comfortable and extensive caregiving facilities. Let us take care of your elderly parents with sincere understanding. We ensure equality and personalized one-on-one care of your elderly loved one. He or she will receive 100% of the caregiver's attention, so you can feel safe with our caregiving services. 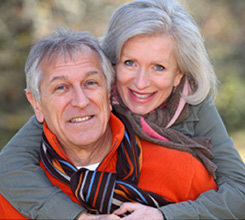 Independant Senior Living Offers Quality Care And A Loving Environment For Your Loved Ones. For friendly and professional on-site or in-home care services that you can afford, A Caring Place is ranked one of the best. We provide safe and convenient care with everything that your loved one needs. We only hire the most compassionate and reliable caregivers to provide your elderly loved one with the best care possible. We are passionate about helping others! Get in touch with us today.